Let’s be honest, humidity is one of the most unbearable weather-related conditions. It can make a bright, sunny day turn sour, transforming even the simple act of stepping outside into a descent into the deepest, stickiest jungle. As uncomfortable (and emotionally taxing) as it can be for living situations, it’s even more detrimental for construction environments, especially those that take longer than a few months to complete. 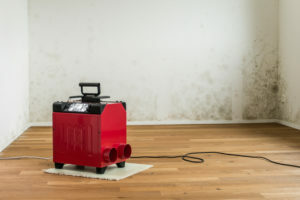 Here are a few reasons why your construction project — and your workers — need a dehumidifier. Pink Floyd may not be best known for their endorsement of dehumidifiers, but they capture one of its main benefits in the opening few lines of “Breathe.” Humidity can cause a plethora of health problems, as moisture makes a prime breeding ground for mold, mildew, and a variety of allergens; however, a relative humidity of less than 50% can help reduce the presence of these intruders. The air will smell fresher, cleaner, and will help your workers breathe a little bit easier. By using a dehumidifier rental, you can make sure your employees are able to do their work safely and without breaking the budget. Regardless of your construction or renovation project, the possibility of high-humidity spaces increases the chance that your expensive tools and machinery may rust or incur damage. Water and metal do not mix well, and the outside cost of repairing such damage can end up being more than the actual purchase of a dehumidifier — it’s better to avoid the risk, especially on long-term projects. Not to mention the fact that air ducts provide routes for mold and mildew spores, meaning that your entire project could come toppling down because one area didn’t have sufficient ventilation and humidity control. Best of all, you don’t even need to permanently purchase one of the (sometimes costly) machines — rental dehumidifiers are easily accessible due to their benefits in construction environments. Pretty much any temperature or air control system (such as rental heaters or rental air conditioners) are available for such events, as maintaining a physically comfortable environment is vital to productivity and the maintenance of essential tools and machines. Don’t sweat the big stuff; find a dehumidifier rental for your construction project today.